4 ft. 5-inch Right Drain Walk-In Air Bathtub in White Walk-In's provide a safe and independent bathing experience. Using the latest in tub crafting techniques and industrial grade materials Walk-In Tubs offer an impressive line to meet your specific needs. Walk-In Tubs offer the satisfaction and peace of mind needed to truly enjoy a luxurious soak or a vibrant, soothing experience. 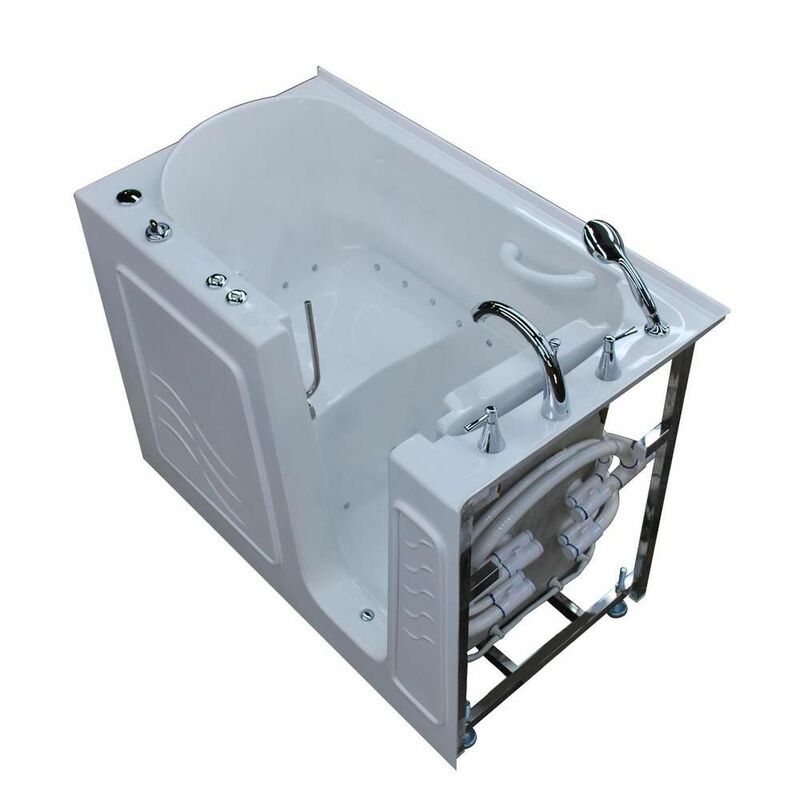 4 ft. 5-inch Right Drain Walk-In Air Bathtub in White is rated 5.0 out of 5 by 1. Rated 5 out of 5 by jake from Great Deal I would not attempt to install by my self. Recommend a qualified plumber. With the tub being smaller in size then the old one, I also had to hire a general contractor to frame in and dry wall the new tub. The expense of the installation was higher then the price of tub. Even with the expense this was a great deal. My wife has dementia and now has a safe bath/shower experience.